Height: 43 in. Width: 27 in. Depth: 27 in. • Manufacturer recommends conventional detergent. 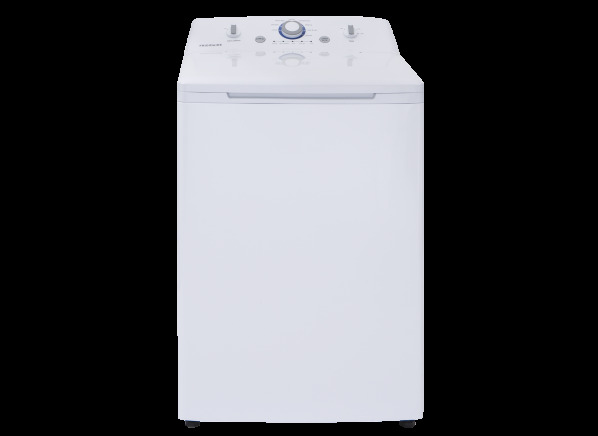 The Frigidaire FFTW1001PW is part of the Washing machine test program at Consumer Reports. In our lab tests, Washing machine models like the FFTW1001PW are rated on multiple criteria, such as those listed below. Results in the following chart are gathered from Consumer Reports’ 2018 Fall Survey 14,780 top-load agitator washers, owned by members who purchased a new machine between 2008 and 2018. Our predicted reliability ratings are based on a statistical model that estimates problem rates within the first 5 years of ownership, for washing machines that are not covered by an extended warranty or service contract. We also adjust for the median number of loads of laundry run through the machines per week. The median in our survey was 4 loads per week. Higher ratings are indicative of better reliability. Brands receiving a red or orange rating cannot be recommended by CR at this time.